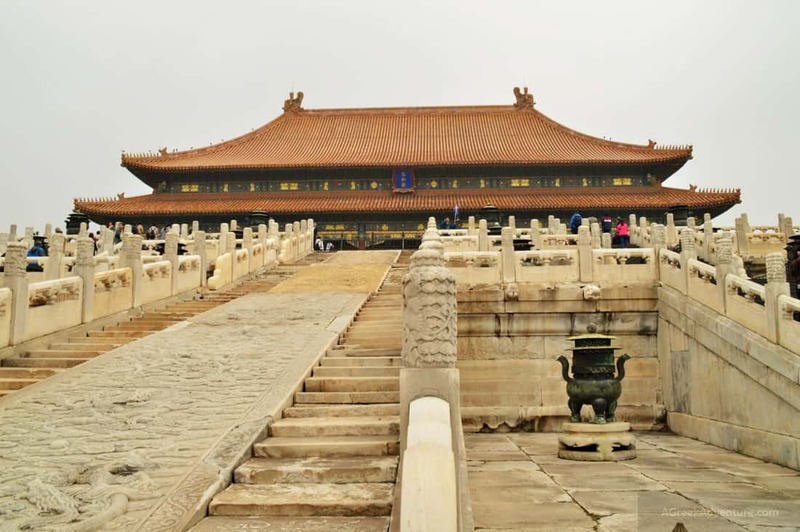 Forbidden City Beijing, China… A landmark that just by its name gives birth to colorful images and scenes in our minds. Movies were made with this theme and location (OK or props resembling that since.. it is forbidden). Emperors and Empresses with silk clothes, herons, thousands of fully armored soldiers, martial arts and… Jet Li? 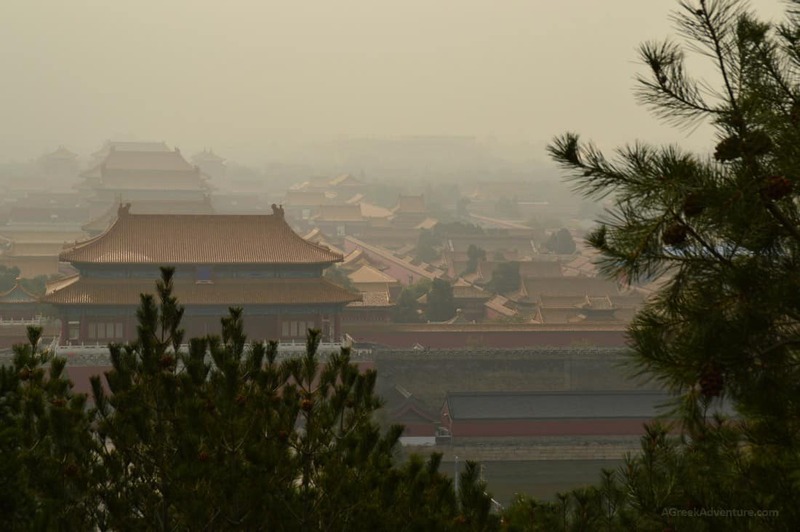 Anyway, Forbidden City in Beijing China is one place we always wanted to visit. Kinda of a dream if you like. This year (2017) that dream came in life. The day we went was a bit (a lot) foggy, but that added a kind of special allure at the place. Along with the Great Wall of China, this was one massive experience for us. 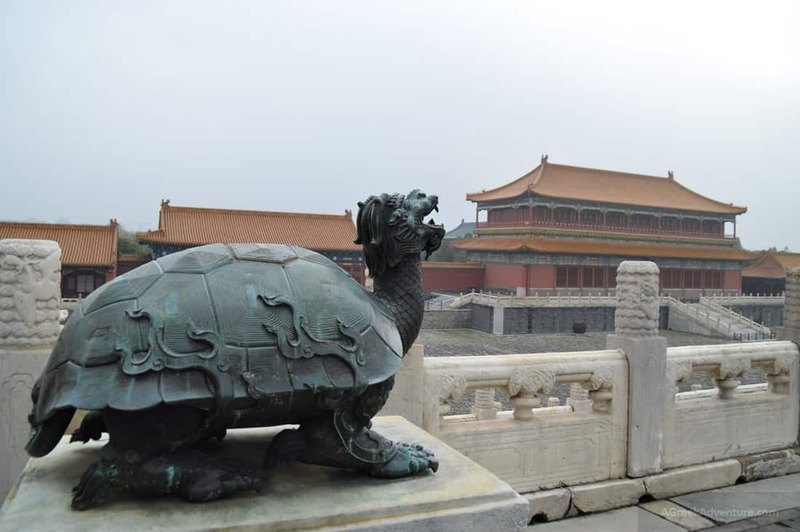 First of all, you can’t visit the total of the Forbidden City. There are around 9999 rooms (no kidding). But you can visit a small portion of it. 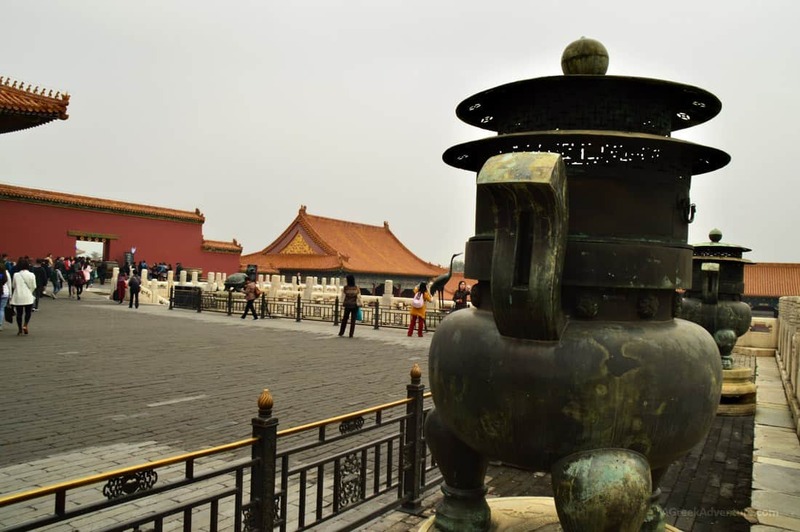 The Forbidden City is situated in the center of Beijing and it used to be the palace of 24 emperors (Ming & Qing Dynasties). 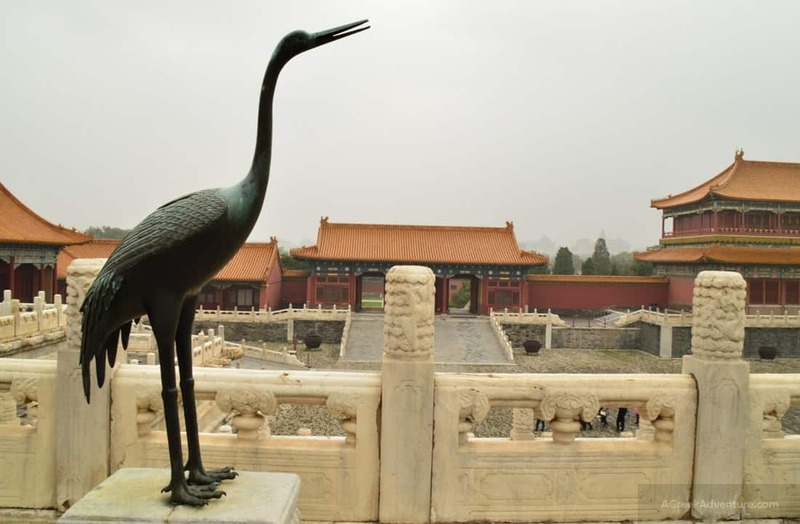 Forbidden City is not the actual translation of its original (Chinese) name. 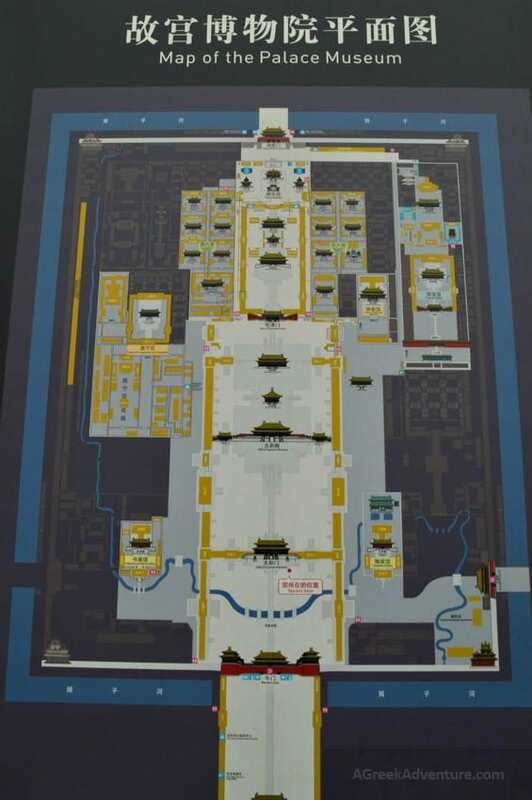 The actual translations means: Purple Forbidden City (Zíjinchéng). 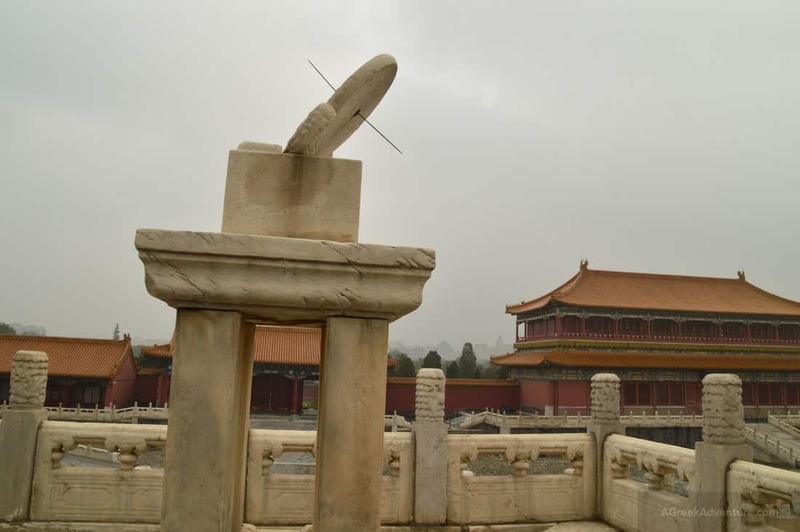 That name comes from a belief of ancient Chinese astronomers that the purple star of Polaris was in the center of Heaven and that Emperor (who was thought to have a Heavenly origin) lived in the Purple Palace. 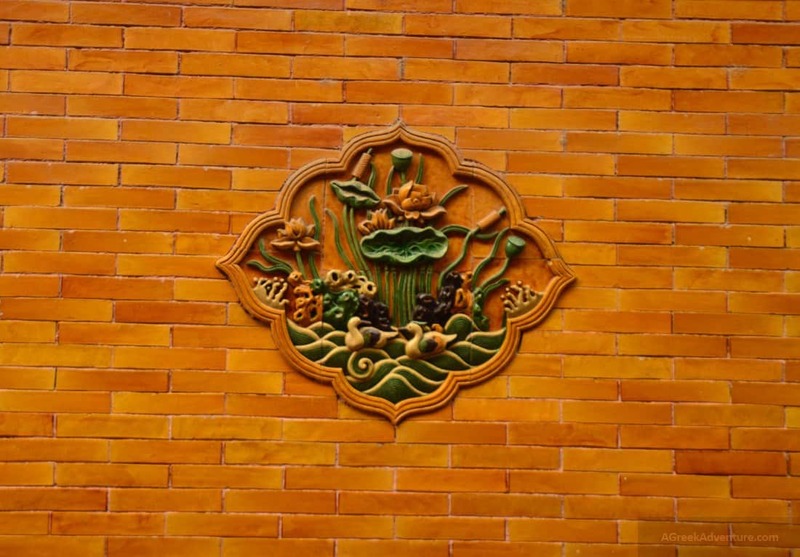 Almost every single detail of both exterior and interior premises is carved with detailed ornaments. The whole city is highly decorated. Bridges, roads, pathways, imperial rooms, everything is to be artistically admired. Could it be otherwise, since that was a huge location of political and religious importance? Probably not. 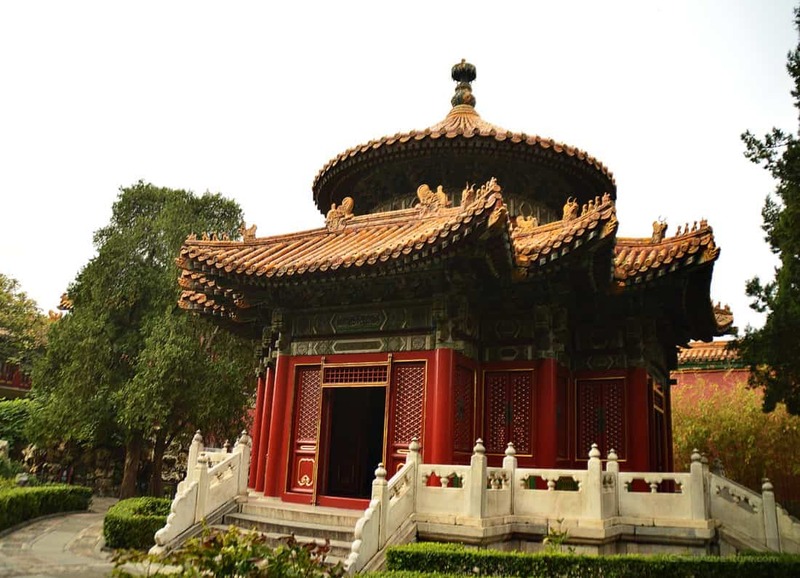 Jingshan par is another nice location you can visit. 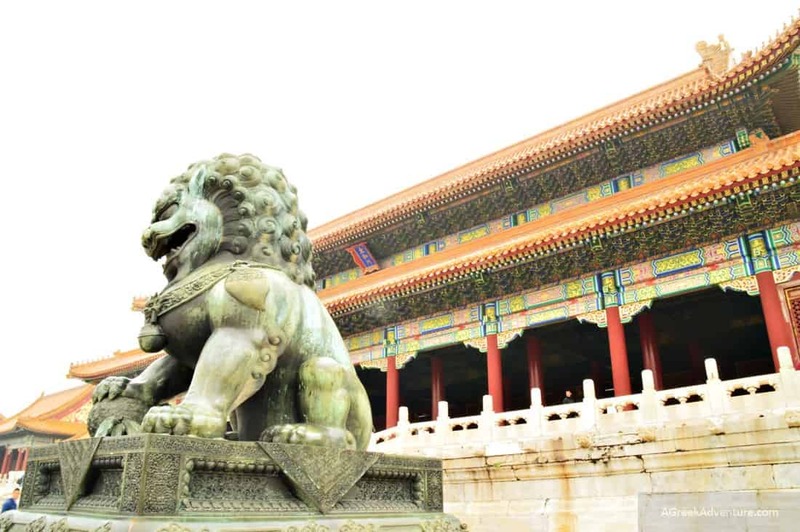 The park faces the North gate of the Forbidden City and is founded on Jingshan Hill. 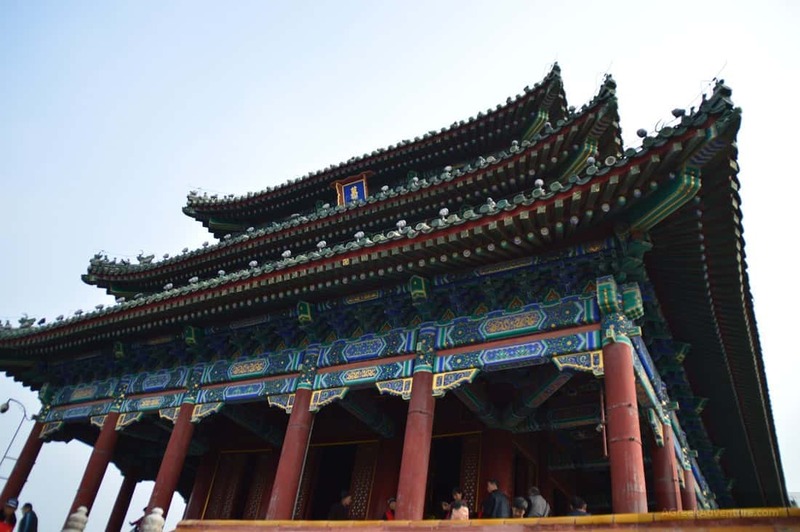 If you set yourself in the middle of the park, on top of the hill you will have a surrounding view of Beijing, since this is the highest point of the city. On a good weather you get a full and clear view of the city. We had quite some mist that day so photos came out a bit “atmospheric”. 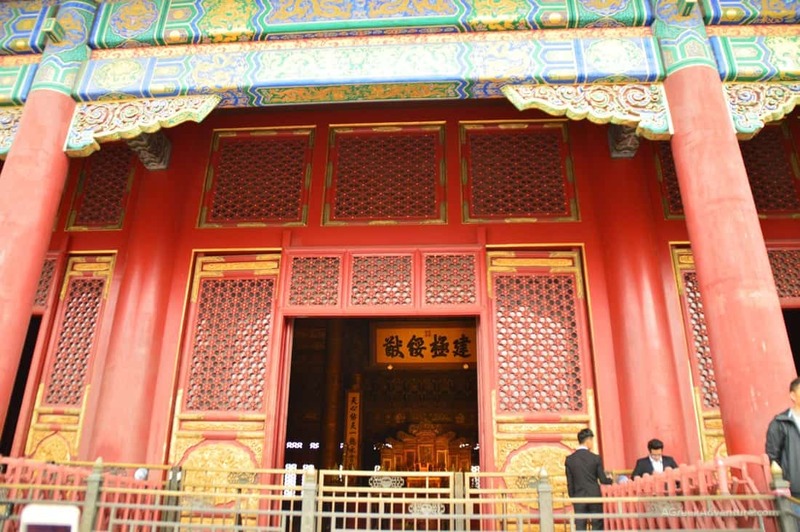 Starting from the Meridian Gate and ending up to the Gate of Divine Might, you pass through the Gate of Supreme Harmony, the Hall of Supreme Harmony, the Hall of Military Eminence, the Hall of Literary Glory, the Palace of Heavenly Purity, the Imperial garden, the Hall of Mental Cultivation, the Palace of Tranquil Longevity. 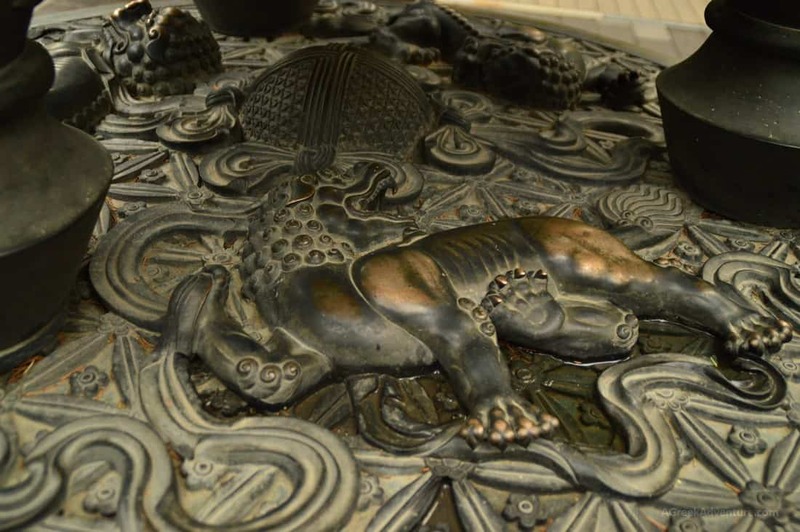 Every bit of every element and of any detail, portray important philosophical and religious principles of China’s (and maybe of universal) ancient knowledge (and… beliefs). 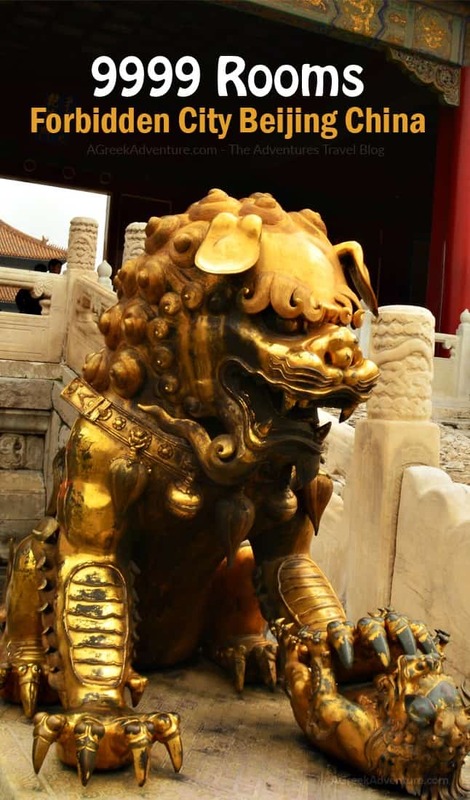 Yellow is dominant color due to its connection to be a color for royalty for Chinese. 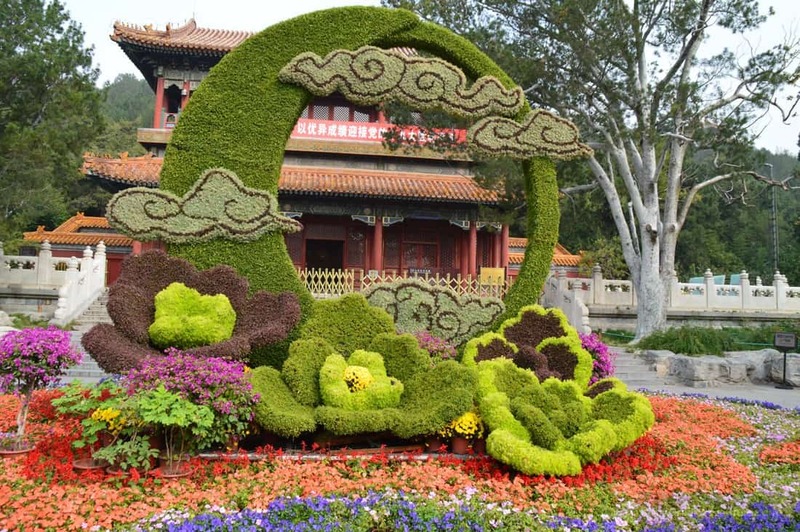 Sacred Chinese geometry finds it place in architecture and city structure. Outer and Inner Courts main halls are arranged into groups of three (like in the Qian triagram that represents Heaven). 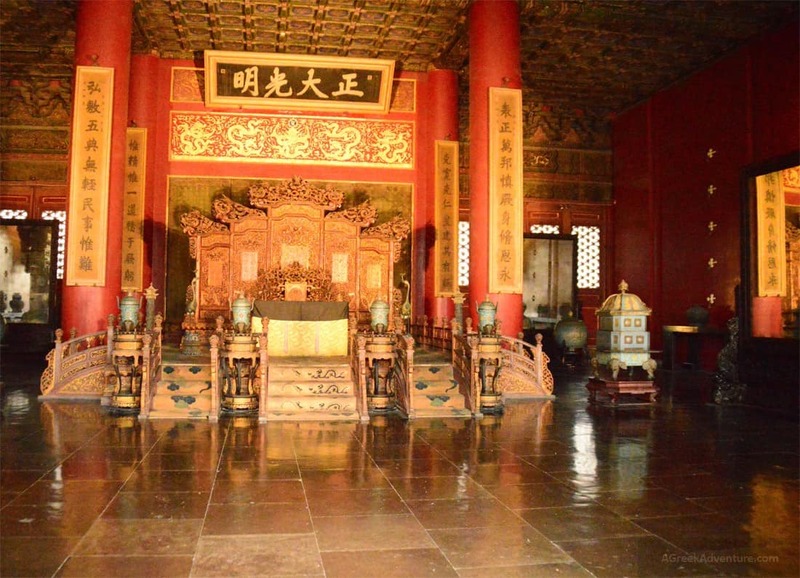 However, the Inner Court residences are in groups of six (Kun triagram that represents Earth). Numbers, birds, dragons, griffins, phoenix’s, herons, turtles all mean something. 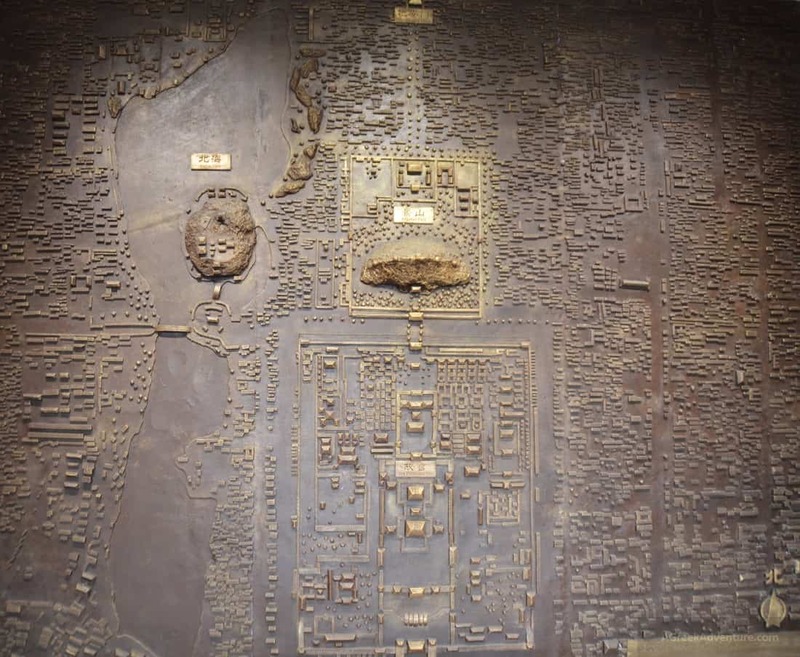 Perhaps to the Chinese history scholar, this city is like a gigantic book easy to read. It is not easy to describe this place in just a few words. Even lots and lots of pictures can’t provide the whole experience but maybe a fraction of it. The square became popular in modern history for a serious of political reasons. 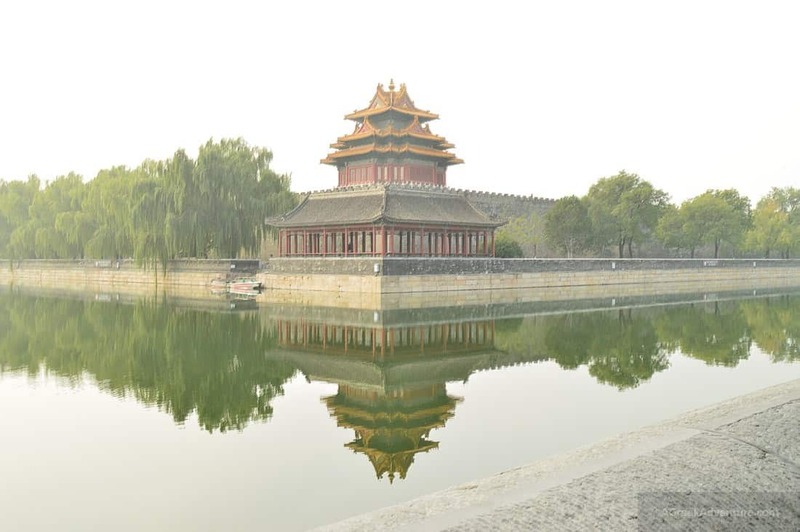 Forbidden City is located at the North of Tiananmen and we had a short walk through it at late afternoon time. Still remains quite “political”, while the days we were there the huge 19th Communist Party Conference took place. 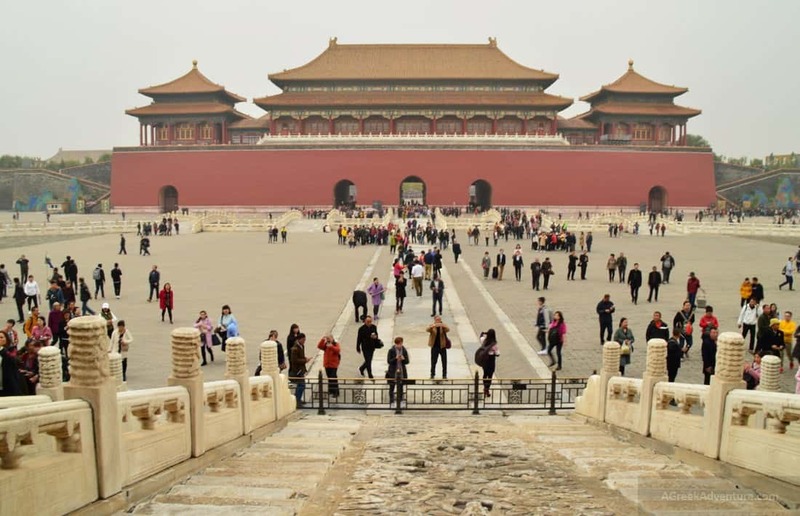 That meant tons of security measures, but at the same time it meant less tourists, which was good for visiting the Great Wall and the Forbidden City. This photo below may be one of the most characteristic of the overall “feeling” in the square. 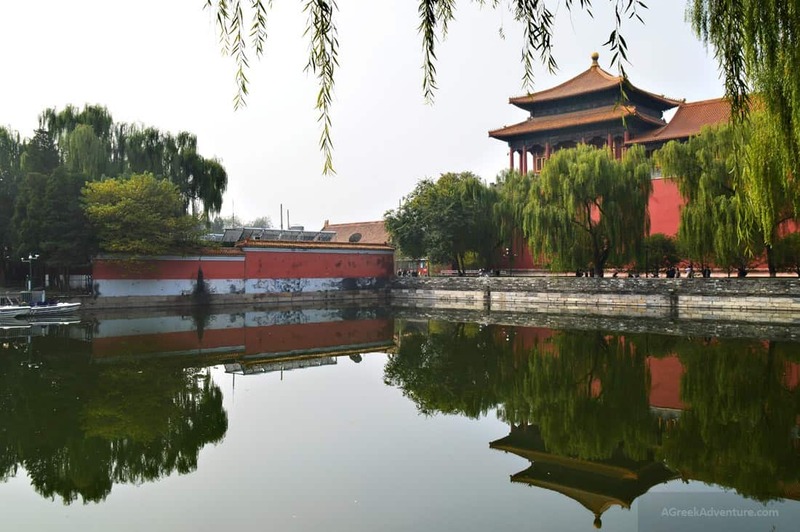 In regular days, Forbidden City receives around 80.000 visitors per… day and most will also visit the Wall. 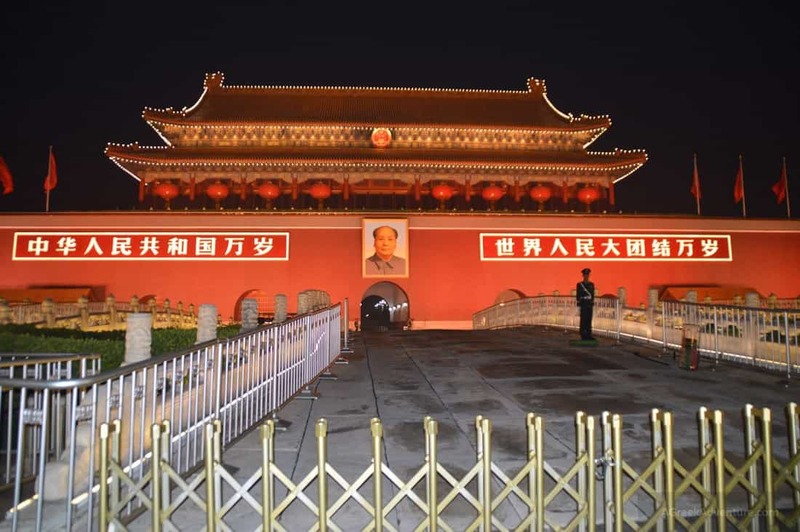 ID cards of Chinese visitors and passports of foreigners need to be shown when buying tickets. It’s preferable to buy your ticket on-line (in case you read in Chinese, as the site is only in Chinese). In any case you can buy a ticket at the ticket windows near the Meridian Gate early in the morning. 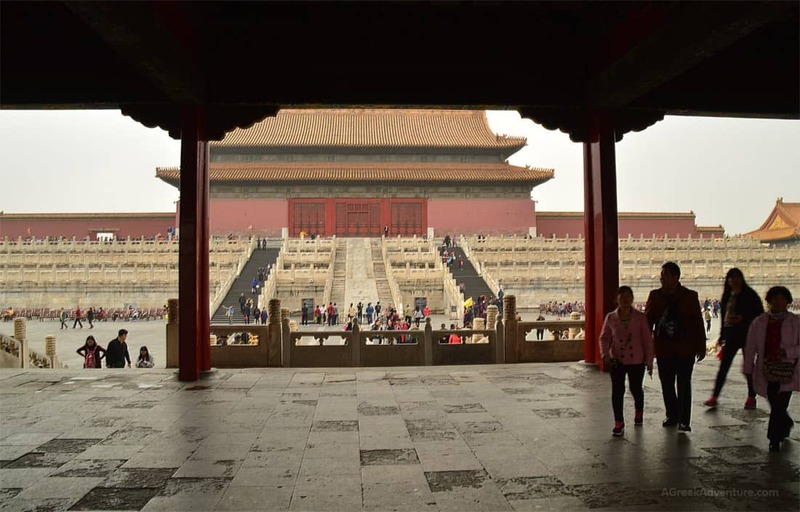 Bare in mind that the entrance to the Forbidden City starts at 8:30am. Check this site for tourist related info about the location. 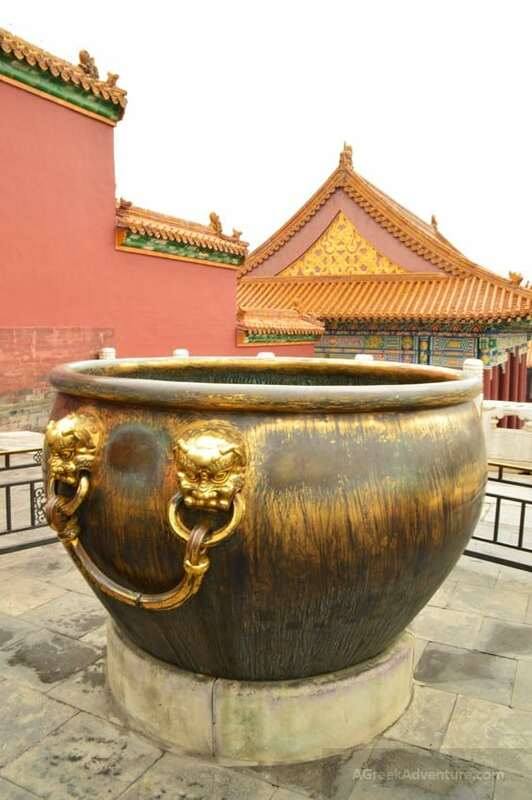 We suggest that you pay a visit to Forbidden City Beijing and share your experiences with us.